One of the most troublesome areas that patients want to have corrected is the space between the nose and the corners of the mouth. Known technically as nasolabial folds, these lines are often quite noticeable, which makes many patients self-conscious. In fact, this area is one of the most commonly treated areas in cosmetic dermatology. 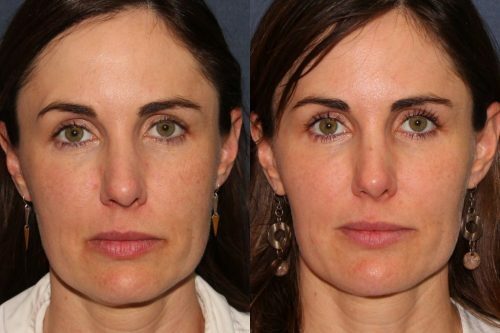 To date, nasolabial folds have been successfully treated with dermal fillers containing calcium hydroxyl apatite or hyaluronic acid. However, as effective as many of those facial filler treatments are, they rarely last for more than a year. For those patients and doctors who have always wanted longer-lasting effects with the same or even better quality of results, the solution has finally arrived: Juvéderm Vollure XC. The Juvéderm line of dermal fillers, manufactured by pharmaceutical giant Allergan, has an impressive reputation. The line is known for safely and effectively addressing several types of wrinkles. Voluma XC, for example, is designed to correct deflated-looking cheeks while Volbella is effective for plumping thinning lips. Sold and marketed in Europe and Canada since 2013 under the name Juvéderm Volift, Vollure XC is also designed for a certain type of wrinkle. It is an effective hyaluronic acid filler approved by the FDA specifically to address moderate to severe facial wrinkles and skin folds. Among the most visible and well-known skin folds are the nasolabial folds, also called laugh lines, which extend from the nose to the corners of the mouth. Leading up to FDA approval, clinical trials for Vollure revealed noticeable yet natural-looking improvement in moderate to severe facial folds and creases. What makes Juvéderm Vollure unique, however, is that the results regularly last 18 months or longer, which is about 50% longer than most other fillers. In the event that a patient does not like the results, HA filler can be reversed with hyaluronidase. Juvéderm Vollure is considered a next-generation hyaluronic filler not only because of its improved durability but also due to its enhanced, natural-looking results. The main reason for this is due to the proprietary technology used to create the dermal filler. Vollure is made with the same Vycross technology used in Juvéderm Voluma (for plumping the deflated-looking skin in the cheek area) and Juvederm Volbella XC (for volumizing thin or thinning lips). Vycross technology combines different weights of hyaluronic acid at the molecular level, which allows the gel to be firm enough to hold its shape for months yet not too cohesive that it doesn’t add subtle, yet noticeable volume. This versatility makes Juvééderm Vollure deliver balanced, even results that reduce facial folds and rejuvenate your appearance. Learn more about filler injectables at WebMD.com. Because of the minimally invasive nature of Juvéderm Vollure injectable treatments, recovery is relatively quick and healing is relatively simple. Once a treatment session is over, patients can go right back to work, home, or whatever their schedule allows. Q: Are There Any Possible Side Effects? A: Because hyaluronic acid is a naturally hydrating substance found in the human body, Vollure synthesizes easily. The result is fewer side effects that are also milder and more short-lived than those from other facial filler treatments. Common side effects after a Juvederm Vollure treatment session include the following, usually near the treatment site: swelling, tenderness, bruising, firmness, redness, soreness, itching, discoloration, and the formation of lumps or bumps on the skin. All side effects should subside within a week. For patients with moderate to severe facial folds or wrinkles that they would like to eliminate, Juvederm Vollure is an effective solution, but fillers Restylane Refyne and Defyne are also great alternatives. To find out more about this revolutionary filler, contact Cosmetic Laser Dermatology to schedule a custom consultation today.